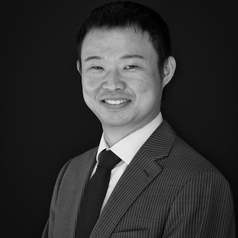 Junfeng Jiao is an assistant professor in the Community and Regional Planning program at UTSOA. He received his PhD in Urban Design and Planning from the University of Washington. Before coming to UT-Austin, he has taught at the University of Washington and Ball State University. His primary interest is built environment and healthy community planning. He wants to understand how people react and reflect the built environments where they live, work, and play. He has investigated how built environments affect people's access to grocery stores, transit facilities, and bicycle infrastructures, and how people reflected urban spaces on Twitter during a Super Bowl week. He also interests in using different techniques to represent and quantify built environment. These techniques include Big Data Analysis, GIS, GPS, 3D Modeling, Social Media, and Statistics. He has worked on projects funded by the NIH, USDOT, WSDOT, RWJF, and others. These works have been published in journals like American Journal of Public Health, International Journal of Obesity, Accident Analysis & Prevention, Transportation Research Record, and Journal of Public Transportation. He also published four book chapters on urban planning and computer modeling through the Springer Publishing.